Of course. Everything else is these days. I remember when tragedies brought even political opponents together in what seemed potentially like a learning moment about our shared humanity being larger than the differences of opinions, beliefs and ideas that divide us. Certainly that happened after 9/11, and it seemed that whatever renewed sense of unity and solidarity members of government shared with locked arms in appearances before the nation in those days soon after, and complete strangers shared with bowed heads and tear streamed cheeks on the steps of churches and cathedrals as the crowds poured out the doors for days after that horror, would last long enough to change our nation for the better. It didn’t last that long. Nor did it when Rep. Gabrielle Giffords and eighteen others were shot in a Tuscon, Arizona supermarket parking lot in January 2011 during a routine gathering of citizens meeting their congressional representative. One of the six people who died in that shooting was a nine year old girl who was born on September 11, 2001. President Obama referred to her several times in his speech at the Together We Thrive: Tucson and America memorial on January 12, 2011. Preparing for that speech, Obama conferred with a Pentecostal clergyman, the head of the White House Office of Faith-Based and Neighborhood Partnerships. White House staffers conferred with religious advisers about biblical passages the president might use in the speech to speak to a nation jarred to the core. But at the core there was still – at that point in our relatively recent history – the need to connect worldly events with spiritual aspirations. Obama decided to quote from the Book of Job and Psalm 46. And he did so to acknowledge and grieve the occasion when six people were killed and Rep. Giffords was shot in the head while “gathered outside a supermarket to exercise their right to peaceful assembly and free speech.” That is clearly close to the occasion of the Texas massacre last week when people were gathered inside a church to exercise their right to peaceful assembly and freedom of religion. In his remarks after the tragedy in January 2011, Obama remarked that people were seeking to make sense out of the senseless by debating issues like gun safety laws and the breakdown of the mental health treatment system. He urged that the polarized national debate be conducted “in a way that heals, not in a way that wounds.” Quoting the Book of Job 30:26, Obama said “terrible things happen for reasons that defy human understanding.” Urging Americans to avoid using the tragedy as “one more occasion to turn on one another”, he called for a new civility in the nation and political and public discourse. He recommended humility, empathy and especially reflection, urging people to consider whether they have “shown enough kindness and generosity and compassion to the people in our lives”. And he closed the speech with a blessing. This is good to remember as we go through tragedy after mind-numbing tragedy, and political discourse is growing more unkind, uncharitable, accusatory, harsh, intolerant, divisive, and scornful of religion. 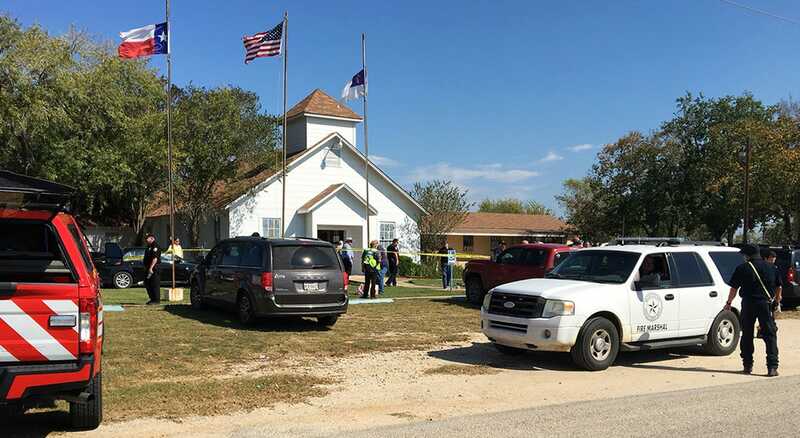 As Wall Street Journal columnist Bill McGurn sees it, for many politicians in President Obama’s party, and media sympathizers, GOP leaders offering ‘thoughts and prayers’ after the Texas massacre is ‘deplorable’. “Thoughts & prayers are not enough, GOP,” wrote the Massachusetts Democrat. “We must end this violence. We must stop these tragedies. People are dying while you wait.” In short, if you are a Republican praying instead of passing gun control, you’ve got blood on your hands. Michael Brendan Dougherty said something similar in his National Review Online piece, asserting that prayer is not a distraction. But the outrage expressed by progressive politicians is. The effect is increasing the ambient background level of contempt and hatred in American society. This is precisely what we need less of, especially right exactly now. In the moments after a tragedy, the fact is we have no idea whether the killer would have been deterred by stricter gun-control laws, whether he broke existing ones, or whether he would have sought to circumvent them the way mass killers do in other countries. We often have no idea how any particular gun-control policies we would like to see implemented would have changed these events. And so attacking the prayers of politicians in fact substitutes for thought and reflection. It is a way for those who favor more gun control, as I do, to express a sentiment about gun violence, without actually putting forward a policy that addresses the issue at hand. If anyone is using “prayer” as a distraction in the wake of a mass shooting, it is those who want gun control but have no idea how their policy preferences could be implemented, and how those policies would have changed the events. He zeroes in on the point. The anti-prayer tweets aren’t encouraging a debate about gun control; they are discouraging expressions of shock, sympathy, and mourning. That is, they are discouraging statements about the inherent value of the lives lost that address the real grief of the bereaved. Often that is the only thing we can sensibly offer in the minutes after awful news breaks across our screens. By discouraging these expressions, they are also inadvertently boxing pro-gun-control politicians into talking about the victims of mass shootings in a purely instrumental way, a less human way — thereby reducing such deaths to having no other public meaning beyond another reason to pass legislation that these politicians already wanted to pass. Without being able to offer a plain expression of sorrow and anger, even pro-gun-control politicians are deprived of a means of offering human respect before engaging in politics. This opens them to the charge of disrespecting the dead by using their deaths to promote views to which the dead would object. So even if you are frustrated with America’s permissive gun rights, it isn’t the prayers offered to the dead that are the problem. Let people mourn the dead. Let them say the human thing first. And then engage in vigorous political debate afterward. …Barack Obama offered his “thoughts and prayers” as often as any president, such as after a 2013 shooting in Washington when he said, “We send our thoughts and prayers to all at the Navy Yard who’ve been touched by this tragedy.” No one complained then, either because they were comfortable that Mr. Obama didn’t really believe in prayer or his faith in gun control was absolute. Over the next few weeks, the surviving members of the First Baptist Church in Sutherland Springs will wrap their fallen in love and lay them to rest. What these survivors may individually believe about gun control is anyone’s guess. But it’s hard to believe that the way to their hearts is by mocking offers of prayer, even from Republicans. For the most part, the right to life has become an extremely partisan issue over the past few decades. That battle will continue to be fought in the legislature, the courts and the arena of public ideas. In the Texas massacre, one of the victims authorities included among the dead was an unborn child, and naturally so.